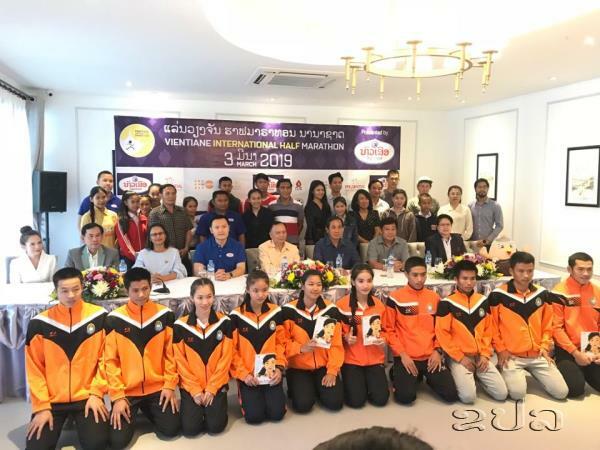 (KPL) The 4th annual Vientiane International Half Marathon will be held on Mar 3, 2019, a press conference held in Vientiane was told on Feb 14. The Vientiane International Half Marathon (VIHM) is the first competitive running race in Laos. The challenging 21 KM, 10 KM, and 5 KM courses will weave through cultural and historic streets, landmarks, and provide runners unique experiences. The marathon event is expected to draw thousands of beginning runners, avid runners and professional runners to run in the quiet city of Vientiane Capital. The press conference also saw the presence of the Vice President of the Lao National Olympic Committee Kasem Inthala, the President of the Lao Athletic Federation Chandee Phommaboud, the Director General of the Elite Sports Department, Ministry of Education and Sports, Mr Sengphone Phom-amat, and athletes.